Animal fiber is a kind of natural fiber, which mainly consists of particular proteins. Silk, hair, fur (including wool) and feathers are some commonly animal fibers. They are widely available in textile industry for stuffing and weaving material or directly applied on garment. A common characteristic of basically all animal fibers is that they are fluffy. 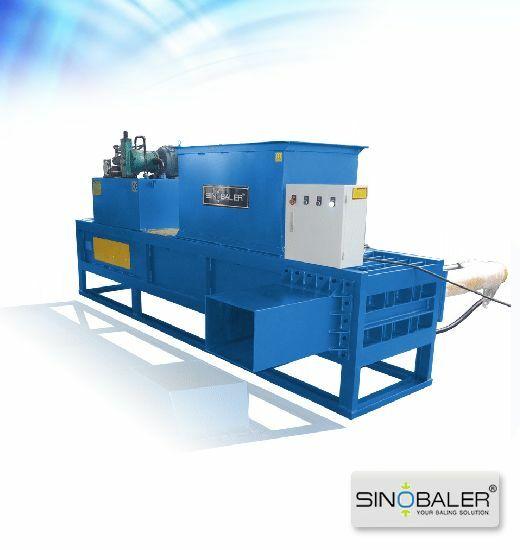 Therefore, in order to save storage space and transportation cost, a animal fiber baler machine is quite necessary to reduce the volume and compress these fluffy materials into dense, manageable bales. Since these raw materials are to be applied in textile and garment industry, it is important to keep them clean during the storage and transportation process. 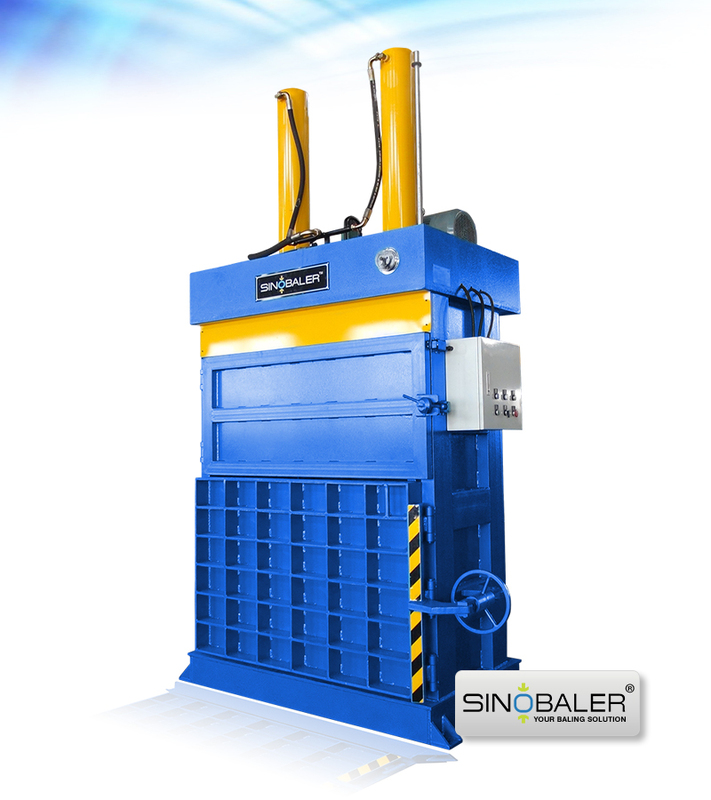 Hence when choosing a baler, you should firstly consider one that can enable you to wrap up the bale conveniently. Bale wrapping effectively prevents the material from getting stained or damp. 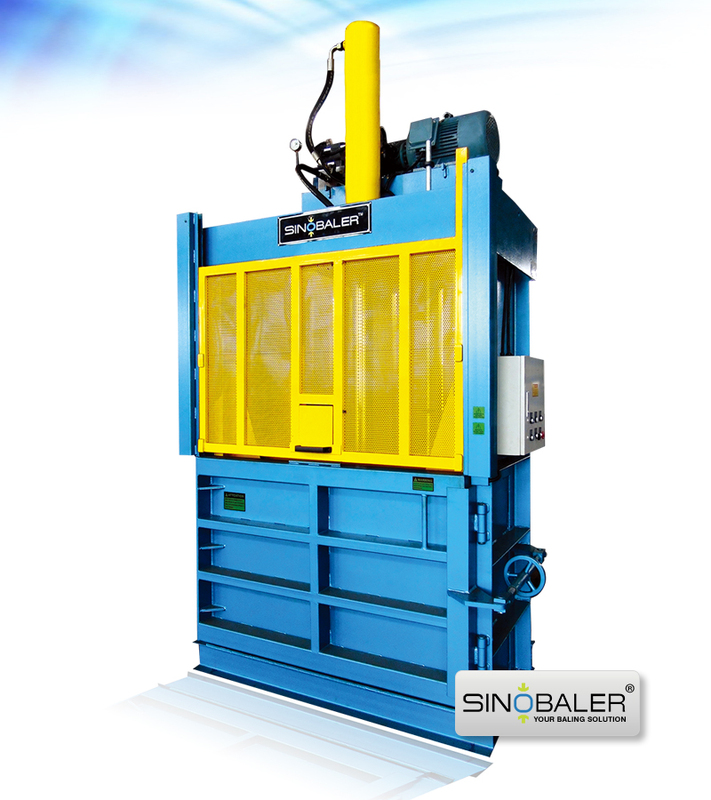 SINOBALER’s lifting chamber baler SVBT2-L1 series and swivel twin chamber baler SVBT2-L2 series are good options for baling animal fiber. Both series allow easy bale wrapping and have retainer claws. 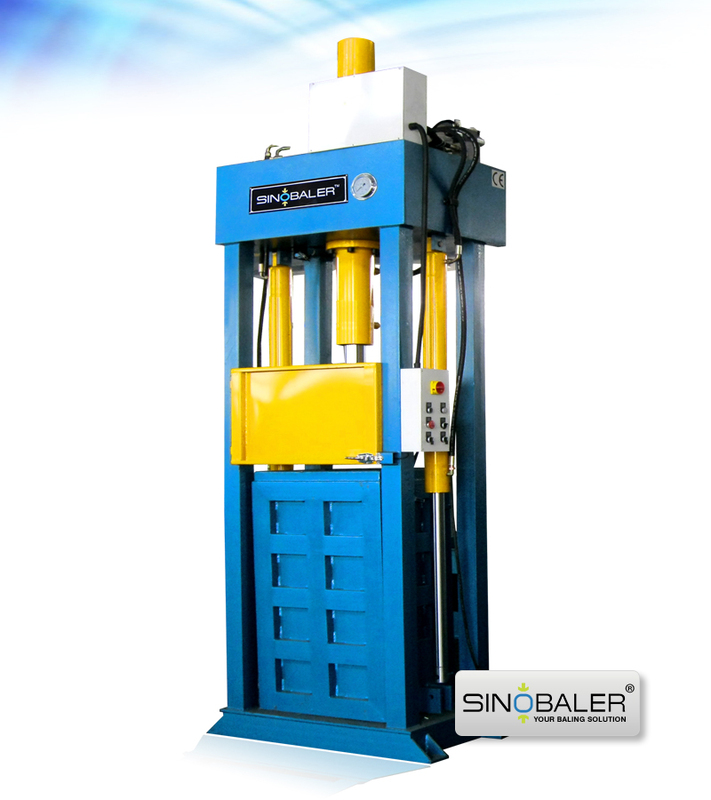 The SVBT2-L1 series is with lifting chamber design. 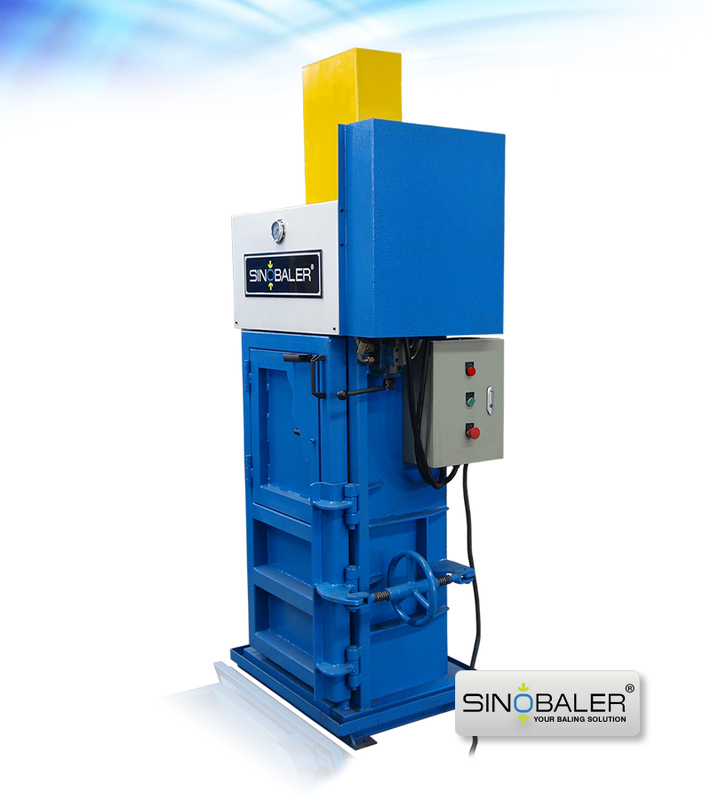 Simply press a button and the chamber will be lifted automatically before bale wrapping and strapping. There are totally 6 standard models with different sizes and capacities available for you to choose. 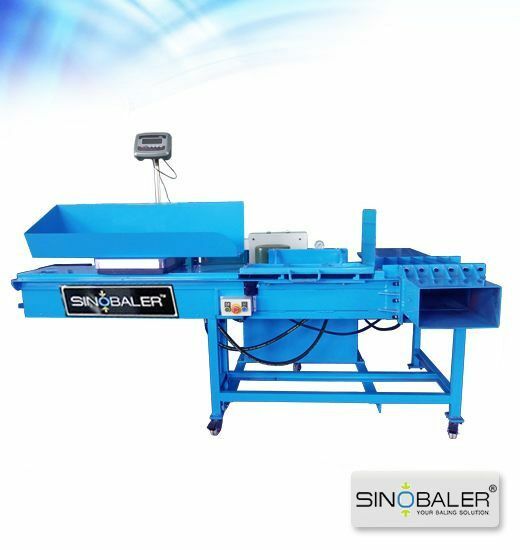 As for the SVBT2-L2 series, this robustly built machine has a dual chamber design, which allows baling and feeding to work synchronously. When one chamber is compressing, the other chamber is always ready for loading materials. This bi-task ability greatly increases the work efficiency. 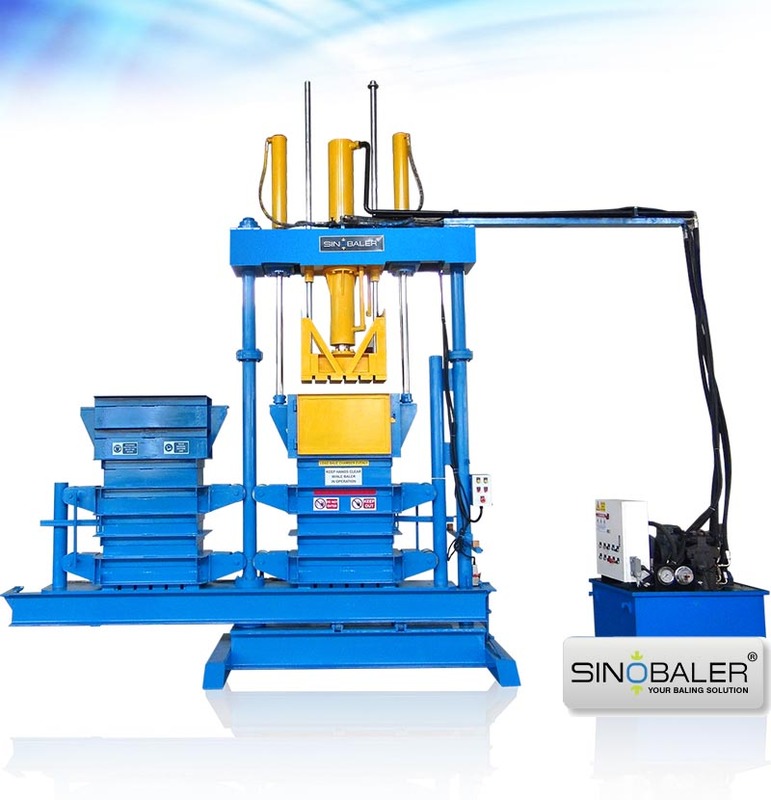 However, if either of the standard models cannot well meet your specific baling needs, we can also customized a machine based on your requirement. 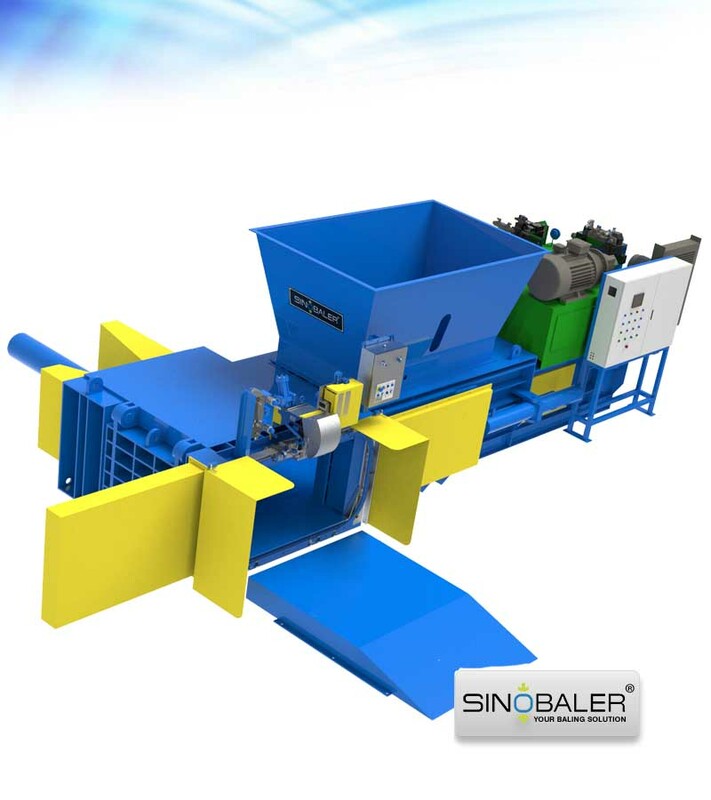 SINOBALER can help you select a machine best meet your needs. 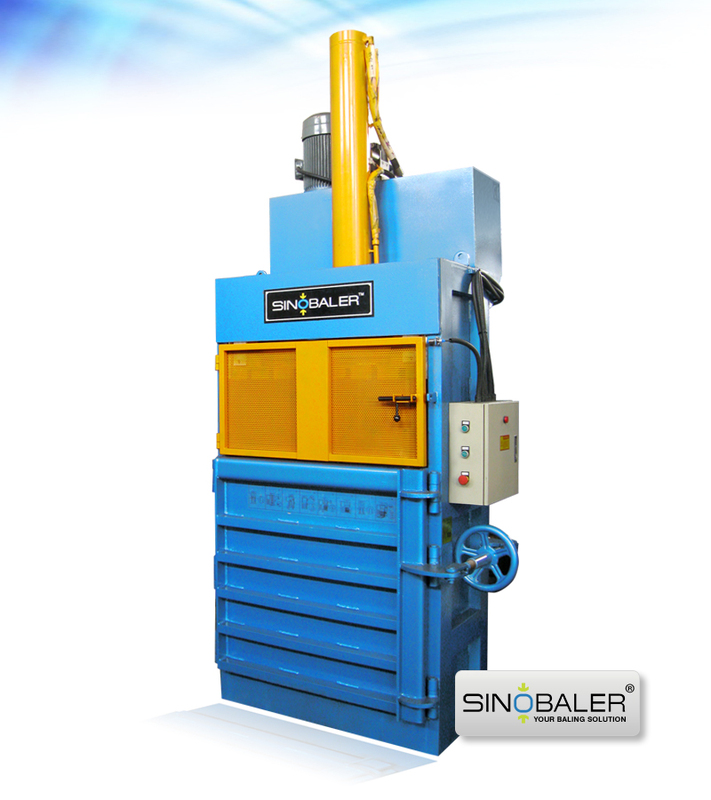 Below are some technical specifications and information of suitable balers for you to peruse. If you have any questions, simply Contact us, and we’ll do our best to provide a solution to your animal fiber baling needs. View more size reduction machines.